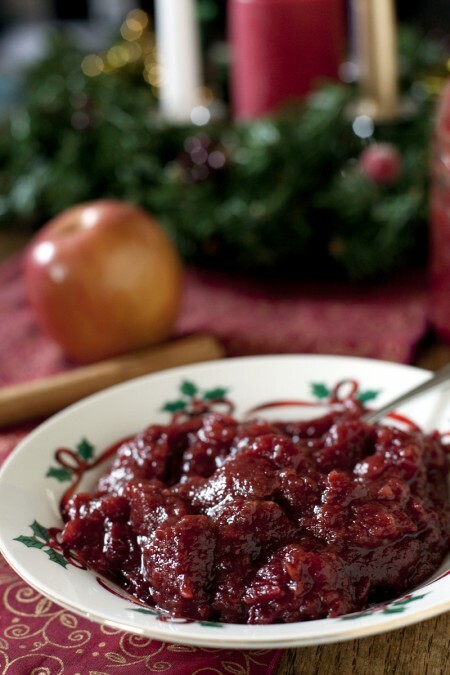 One of my favorite holiday dishes is homemade cranberry sauce. But fresh cranberries can be really expensive! Sometimes I find great deals on them around Thanksgiving, but this year I was hit with a stroke of genius that will allow me to enjoy cranberry sauce year round; Cranberry Apple Sauce. 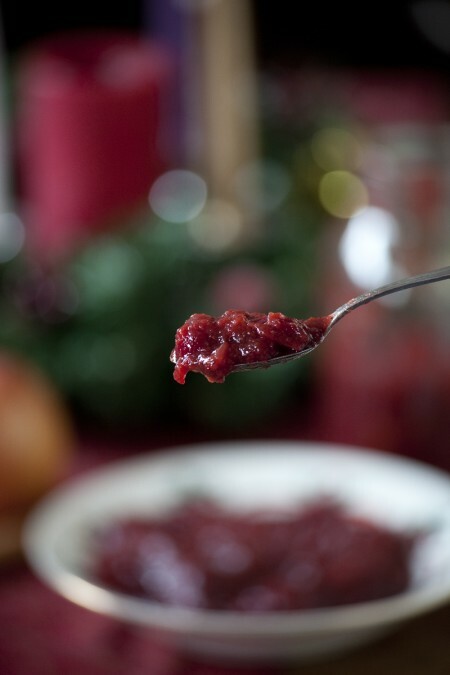 Not only do I get big jars of cranberry apple sauce for my family to last through every season, but smaller jars make really great gifts for the holidays!My previous cranberry sauce recipe was mostly cranberries. It was incredibly tart, which I LOVE, and I used cranberry apple juice to sweeten it with a little bit of added sugar. 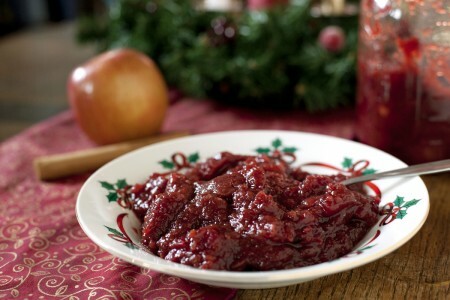 For the cranberry applesauce, I wanted the apples to be the primary source of sweetness. When I made this with sweet sixteen apples I didn’t even need to add sweetener. When I used fuji or jonagold apples (which have more tartness) I needed to add up to a cup of sucanat. I prefer making this with sucanat, which is not only a healthier sweetener than granulated sugar but also adds a lovely hint of molasses to the cranberry sauce. I think the most exciting thing about this recipe is the price difference. This year I couldn’t find cranberries cheaper than $2 a pound. It would have cost me more than $6 to make the same amount of cranberry sauce without apples. I got my apples for only 30 cents a pound from a local farm, but even at normal grocery store apple prices, this is cheaper than using just cranberries. The recipe makes 7-8 cups, about 2 quarts. I’ve been making it in double batches and canning it in quart sized jars for our family and pint sized jars for gifts. I’m already getting requests for it from co-workers! We also made this in the Holiday Special of the Healthy Cooking on a Tight Budget Class last week Friday. The theme was “Affordable Edible Gifts” and in addition to the cranberry apple sauce, we enjoyed candied orange peels, cranberry orange chex mix and whole wheat pumpkin chocolate chip cookies. It was such a great class! I’ll be sharing several more homemade gift ideas this month. Let me know if you have any great edible gift ideas for me to try! Peel and core apples then cut into large chunks. Place apples, cranberries, sugar, cinnamon, cloves, orange zest and water into a large pot on high heat. Cook for 10 minutes then stir. Cook an additional 15-20 minutes, stirring regularly until sauce is preferred consistency. Preserve in jars using a water bath method. Approximate cost/serving: This cost me $2.50 for me. Even at normal apple prices, this comes out to maybe $3.50. A serving is 1/2 cup so it’s 16-22 cents a serving. Vegetarian/Gluten Free: Yes to both, no substitutions necessary.